Step-by-step tutorials from legendary artists, including James Gurney, Adam Hughes, Andrew Jones and more! Learn new art techniques Get inspired and create better characters and creature art! workshop files, plus videos, brushes, hi-res images and more! Editorial Ian Dean Editor ian.dean@futurenet.com Mark Mitchell ART EDITOR Beth Collins PRODUCTION EDITOR Simon arblaster DISC EDITOR For ImagineFX Claire Howlett EDITOR, ImagineFX claire.howlett@imaginefx.com Daniel vincent art editor, ImagineFX dan.vincent@futurenet.com cliff hope OPERATIONS EDITOR, ImagineFX clifford.hope@futurenet.com Beren Neale digital editor, ImagineFX beren.neale@futurenet.com contact us Post ImagineFX Magazine, Future Publishing Ltd, Quay House, The Ambury, Bath BA1 1UA, United Kingdom Phone +44 (0) 1225 442244 email mail@imaginefx.com web www.imaginefx.com Twitter: @imaginefx Facebook: www.facebook.com/imaginefx disc problems +44 (0) 1225 822743 discsupport@futurenet.com Contributions Boris Vallejo & Julie Bell, Jean ‘Mobius’ Giraud, HR Giger, Craig Mullins, Mike Mignola, William Stout, Chris Achilléos, Brothers Hildebrandt, Ken Kelly, Nicolas ‘Sparth’ Bouvier, Frank Frazetta, Jean-Sébastien Rossbach, Fred, Gambino, Brian Fround, Marc Potts, James Gurney, Rodney Matthews, Chris Foss, Peter Oedekoven, Syd Mead, Francis Tsai, Jim Burns, Dave Gibbons, Charles Vess, Mélanie Delon, Dan Scott, Adam Hughes, John Kearney, Raymond Swanland, Svetlin Velinov, Andrew Jones, Christian Alzmann, Marta Dahlig, Wayne Barlowe, Bob Eggleton, Henning Ludvigsen, Paul Tysall Photography Future Photography Studio dan oliver group editor-in-chief simon middleweek group art director ROBIN ABBOTT creative director Advertising +44 (0) 20 7042 4124 Gavin Rodriguez account manager gavin.rodriguez@futurenet.com Suzanne Smith account manager suzanne.smith@futurenet.com Marketing Philippa newman group marketing manager Print & Production MARIE QUILTER production co-ordinator mark constance production manager nOLA COKELY ad production manager Nathan Drewett ad production co-ordinator michelle rogers operational purchasing manager Licensing regina erak licensing & syndication manager matt ellis senior licensing manager Future Publishing Limited Matthew Pierce head of content & marketing, photography, creative & design nial ferguson director of content & marketing paul layte commercial director of consumer revenues Zillah Byng-Maddick chief executive Printed in the UK by William Gibbons Distributed by Seymour Distribution Ltd +44 (0) 207 429 4000 2 East Poultry Avenue, London EC1 9PT ImagineFX is the registered trademark of Future Publishing Ltd. All Rights Reserved. © Future Publishing Limited 2014. All rights reserved. No part of this magazine may be used or reproduced without the written permission of the publisher. Future Publishing Limited (company number 2008885) is registered in England and Wales. 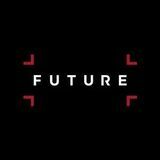 The registered office of Future Publishing Limited is at Quay House, The Ambury, Bath BA1 1UA. All information contained in this magazine is for information only and is, as far as we are aware, correct at the time of going to press. Future cannot accept any responsibility for errors or inaccuracies in such information. Readers are advised to contact manufacturers and retailers directly with regard to the price of products/ services referred to in this magazine. If you submit unsolicited material to us, you automatically grant Future a licence to publish your submission in whole or in part in all editions of the magazine, including licensed editions worldwide and in any physical or digital format throughout the world. Any material you submit is sent at your risk and, although every care is taken, neither Future nor its employees, agents or subcontractors shall be liable for loss or damage. From the makers of Weâ&#x20AC;&#x2122;re the only magazine dedicated to fantasy and sci-fi art. Our aim is to help artists to improve both their traditional and digital art skills. Visit www.imaginefx.com toÂ find out more! Learn to paint like the fantasy art masters Art legends 116 The History of 32 Frank Frazetta Interview: Fantasy art’s finest painter. Workshop: How to paint like the legend. 42 Fred Gambino Interview: Painting classic sci-fi. Workshop: Paint an epic spaceship. 46 Brian Froud Interview: Faerie secrets and advice. Workshop: Marc Potts’s faerie guide. 58 James Gurney Interview: The Dinotopia artist talks. Workshop: Art theory by James Gurney. 70 Rodney Matthews Interview: Alien vistas and creatures. Workshop: How to tell stories in your art. Art masters 128 Mélanie Delon Interview: From internet sensation to pro. Workshop: How to paint realistic faeries. 136 Dan Scott Interview: Fantasy art and career insights. Workshop: Tips on painting an Elf ranger. 144 Adam Hughes Interview: DC’s cover artist shares his art. Workshop: Adam paints Catwoman. 162 Raymond Swanland Interview: Games are just the start! Workshop: How to use custom textures. 200 Custom brushes Workshop: Marta Dahlig shows how to create and use multiple custom brushes in Photoshop. 210 Alien tips Workshop: Wayne Barlowe reveals his 10 tips for creating unique creature designs. 172 Svetlin Velinov Interview: The Russian’s rise to fame. Workshop: Paint a classic fantasy scene. 214 Monster design Workshop: Bob Eggleton shares his tips on painting perfect dragons, claws and wings. 96 Dave Gibbons Interview: The Watchmen artist talks. Workshop: How to paint Rorschach. 182 Andrew Jones Interview: ConceptArt.org’s founder talks about his art and ambitions. Workshop: Andrew explores Corel Painter. 216 Painting materials Workshop: The tricks to rendering a variety of materials, from denim to leather and silk. 106 Charles Vess Interview: The comic artist’s work profiled. Workshop: How to paint in watercolour. 192 Christian Alzmann Interview: The ILM artist reveals all! Workshop: Get a traditional look, digitally. 74 Chris Foss Interview: An exceptional SF artist. Workshop: How to paint like Chris Foss. 82 Syd Mead Interview: His career and art examined. Workshop: Digitally paint like Syd Mead. 92 Jim Burns Interview: The SF legend’s art on show. Workshop: Paint an alien from photos. Dungeons & Dragons Art Interviews: Legendary artists, including Larry Elmore, Todd Lockwood and Ralph Horsley share their highs and lows of working for Dungeons & Dragons. 154 John Kearney Interview: Self-taught and successful. Workshop: Paint a realistic cyclops. 222 20 Fantasy tips Workshop: Henning Ludvigsen reveals the 20 ways to achieve better fantasy paintings, including colour, texture and light tips. © Moebius Productions. All rights reserved 2011.